Wow! Is it already August 15th? For those of us living in New York, that generally means we have just over two weeks of summer break left before school begins. How time flies. Now that the school year is almost upon us, we have new additions to each course. As always, please feel free to send us suggestions about what you would like to see as monthly add-ons to various courses. Always best to catch us with your suggestions at least a month ahead of time. Assessments are always in demand and we have a bunch for you this month. In our Common Core Algebra I Add-Ons, we bring you a Unit 3 (Functions) Quiz. This quiz goes through Lesson 3 of the unit and we provide you with both a Form A and a Form B version of the quiz. 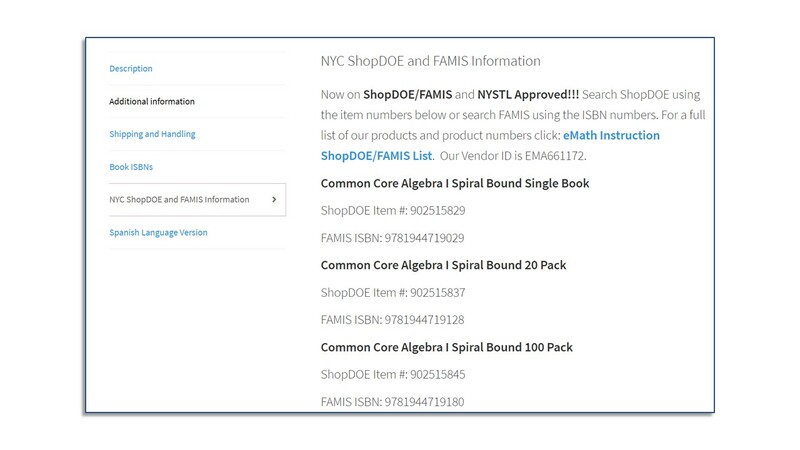 This is the first year of our Common Core Geometry Add-Ons. For the Geometry Add-Ons this year we want to make sure you all have a Form B test for each unit. So, for this month we give you a Unit 1 and Unit 2 Form B assessment. These mirror assessments can be used as makeup for the typical exams or just as replacements. For our Common Core Algebra II Add-Ons, this month we bring you a Unit 2 Quiz (Also Functions). This quiz should be given after Lesson 3. We provide both a Form A and Form B version of this quiz. In Algebra 2 and Trigonometry Add-Ons, we provide a Unit 1 and Unit 2 Form B quiz. In Alg2/Trig, the first two units are very short, so we did not write full unit assessments for them. Here we provide a Form B for the “quizzes” for each of these units. Two things to note here: (1) NYSED has not yet decided on when these standards will be implemented, so we must assume the status quo in terms of the assessment content and (2) the implementation of the Next Gen standards on tests will not happen before June of 2021. We plan to really start modifying our high school texts later this academic year and will continue to create lessons that fit these standards as add-ons. We do not plan on actually changing the workbooks until the 2020-2021 academic year. We also hope to release something for kids younger than 9th graders for the Next Gen standards as well. More on that later this year. That’s it for now. Continue to enjoy the rest of summer. Get out to your local fairs, waterparks, and festivals. As for me, I’m looking forward to taking a long weekend to camp with the kids. 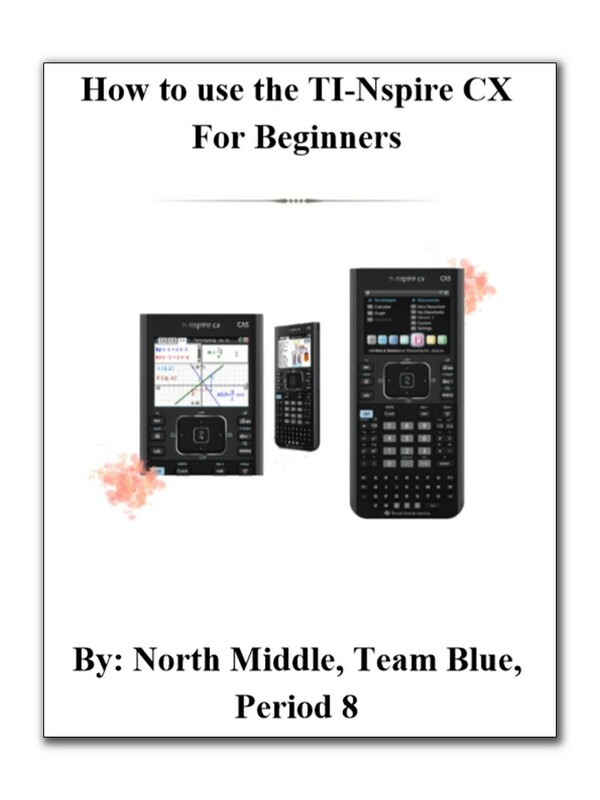 Zach Boyt, a teacher at Great Neck Middle School, just sent us a really cool guide for the TI-Inspire that his 8th period Algebra I class created. Thank you to Mr. Boyt’s 8th Period Algebra I class for sharing this excellent resource! Good luck to everyone taking the exam tomorrow. We have Live Regents Review Sessions coming up. A few teachers have suggested that we post the problems we are going to work through. These problems sets are rather long (15 to 25 pages each). We are posting them as we get them up. We likely will not be able to do all the problems in each of these sets (there are a lot of them). But, I will try to get through as many as possible in the three hours we have on each night. Well, Spring has definitely sprung here in the great Northeast. As I sit here massive thundershowers are hitting us. We even have a tornado warning! I grew up in Illinois, where the flat terrain essentially guaranteed that tornadoes were commonplace. But, surrounded by mountains (or large hills as some would insist) here in Red Hook, we don’t tend to see twisters here. But, enough about the weather (actually I’m going to come back to it eventually). We are heading into the homestretch of the school year. With roughly a month to go before standardized testing sets in, teachers should be heading into full on review mode. To that end, let’s discuss the add-ons for Common Core Algebra I, Common Core Algebra II, and Algebra 2 with Trigonometry. Last year for each of these courses we put out short (10 points each) Unit Review quizzes for each unit. For both CC Algebra II and Alg 2 with Trig we put multiple quizzes out for the longer units as well. We released these quizzes between the April and May add-on rounds from last year. This year we are releasing the Form B (or makeup) quizzes for all three courses. We organized the quizzes from last year and rereleased them as Form A. We then also released Form B as new content. For each course, both documents, Form A and Form B, contain quizzes for all units. These quizzes will help spot check the students as you conduct unit review. Since Teachers have access to the Word document as well, you have the flexibility to combine quizzes as you like and need to. We will start up with more add-ons in August! 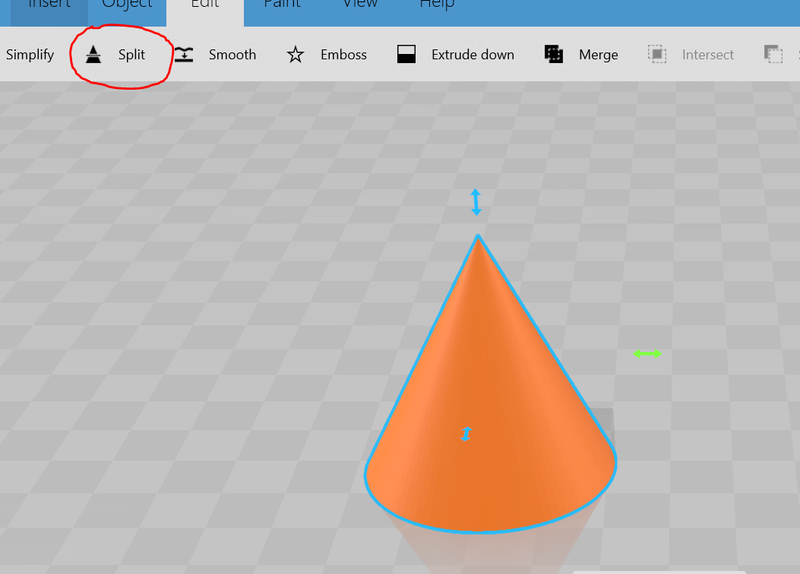 Including add-ons for Geometry. In other exciting news, eMathInstruction will host Live reviews for the New York State High School Regents exams!!! Last year we live streamed reviews for CC Algebra I, CC Algebra II, and CC Geometry (in that order). We did this using only Instagram Live, since that was where we thought we could reach the most students. By the time we did our last review, CC Geo, we had over 20k viewers. Granted, some of them probably weren’t students at all and left as soon as they realized it was a big, old geek (me) talking about math, but still! Over 20 thousand unique viewers. Even if 5,000 were students, that would be great. 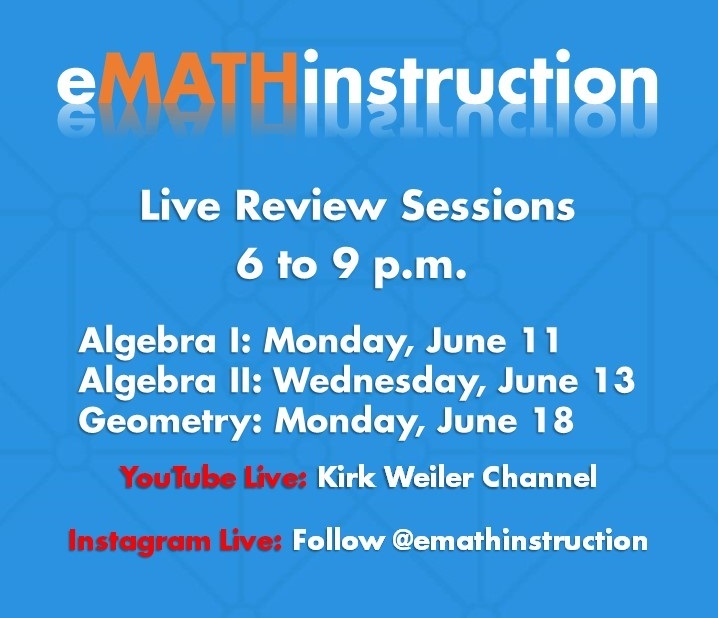 Algebra I Review: Monday, June 11th, 6 until 9 p.m.
Algebra II Review: Wednesday, June 13th, 6 until 9 p.m.
Geometry Review: Monday, June 18th, 6 until 9 p.m.
Last year we streamed to my own personal account (@kirkweiler if you want to see me post pictures of my garden), but this year we are only Instagram Live Feeding to @emathinstruction. Have your students follow that to watch. Once we know how to watch on YouTube Live and Facebook Live we will let people know via Facebook. Finally, back to the weather! In my experience, many math teachers are weather junkies. We like both the predictable, science side of it as well as its probabilistic nature. 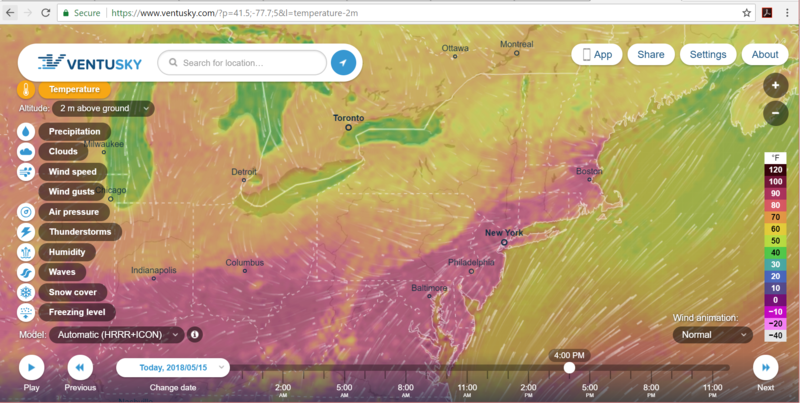 A neat website to help you visualize the weather patterns, especially air velocity, is a site called Ventusky.com. It’s a super cool site where those little streaks you see in the image actually move on the screen relative to the velocity of the wind currents. It is especially impressive when you are looking at a hurricane. 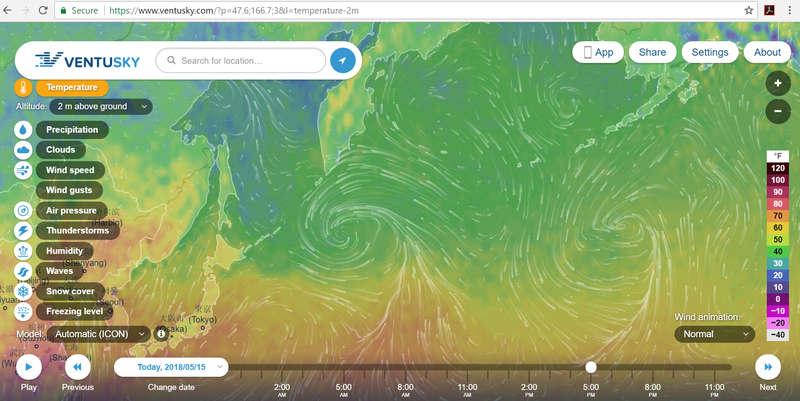 Here’s a hurricane like pattern off the coast of Japan (thankfully not an actual hurricane/typhoon). So, check it out if you have the time. It is a CPU drain, so just keep that in mind and close whatever browser window you use to look at it, either on your computer or phone, once you’re done. That’s it for me for now. We’ll get back to you all with way more news about the Live events as we get closer. Make sure to announce them to your students so they can have a night before (literally) review. You never know who it might push past the passing line. Thank you to Jeanne for providing this great resource! Actually, I’m just kidding. I woke up to snow this morning. Still, not all is dreary. We are quickly approaching the final stretch of the academic year (you are likely just starting the fourth quarter). We have been busy at eMathInstruction working on a variety of different resources, updating our website, and creating add-ons for the courses. Let’s get right into those. For Common Core Algebra I Add-Ons this month we have added a quiz and a new lesson. For Unit 10 (Statistics) we have added a Form B mid-unit quiz. Last year we added the original quiz and this year we have a makeup or Form B of the quiz. These are always handy when it comes to students who are absent or even if you want to give Period 1 the Form A and Period 2 the Form B. We always try to make them as similar as possible, while still making the questions unique. For Unit 11 (the final unit) we added Lesson 6.5 on Additional Piecewise Functions work. In this lesson we have piecewise functions that include linear, quadratic, and root functions. I still believe that the idea of piecewise functions is challenging enough so that it should be as basic as possible, i.e. just piecewise linear, but clearly the makers of standardized tests disagree with me as they often will include pieces that are non-linear. For Common Core Algebra II Add-Ons we bring you two activities centered on the probability and statistics units (Units 12 and 13). For Unit 12 (Probability) we have created a Die Rolling Probability activity. We have the students use the random number simulator on the calculators to simulate rolling two die and summing their rolls. We then have them investigate the empirical versus theoretical probabilities associated with this experiment as well as answer a variety of conditional probability questions. There is no associated homework with this activity. 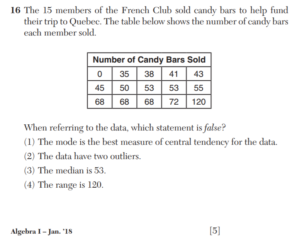 In Unit 13 (Statistics) we created Lesson 4.5 on Sampling a Population. We created a data set of 200 values that students then randomly sample from. Students calculate sample means and standard deviations from their samples and then compare these to the population statistics. Like the Die Rolling Activity, this lesson has no homework associated with it. In our Algebra 2 with Trigonometry Add-Ons this month we have a quiz and another lesson. For Unit 10 (Exponential and Logarithmic Functions) we offer up a mid-unit quiz that covers all of the content through Lesson #6 (Graphing Basic Logarithms). In Unit 11 (Probability) we created Lesson 7.5 on More Binomial Probability Practice. In this lesson we use the calculator to find binomial probabilities and cumulative binomial probabilities for a variety of applied problems. In other exciting news, eMathInstruction will be at the national NCTM conference next week!!! We will have a booth set up where you can come and chat and we will also be presenting on Friday afternoon. Drop by and say hi if you are at the conference. 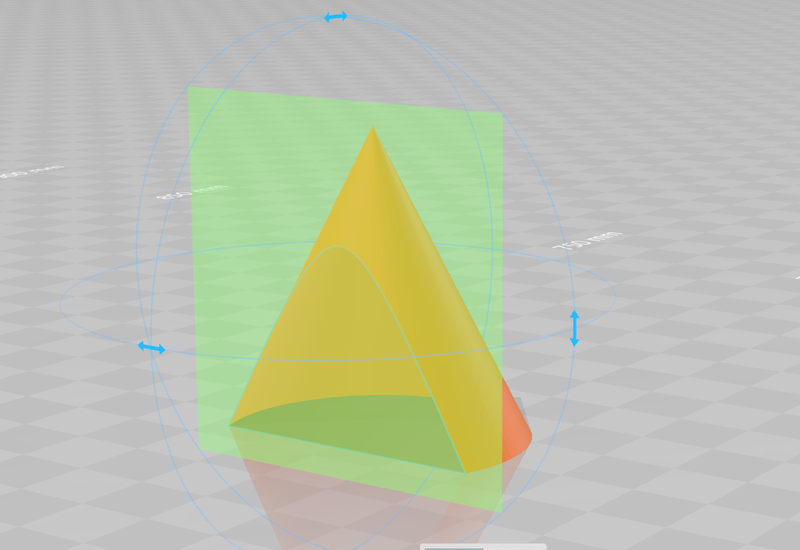 In Geometry news, Version 2.0 of our workbook is now for sale. This new book has the Unit Reviews now included at the end of each unit, so its quite a bit longer than the original book. We’ll begin to add-on to this course starting in August. As always, if you have suggestions in terms of what you’d like us to add, please reach out (make up tests, mid-unit quizzes, extra problem sets, extra lessons). You know cache is the issue if you can get to our site through one browser but not through another one. Have a great rest of your April. I hope that spring has arrive for you soon, if it hasn’t already shown up (no sign yet here). Good morning everyone. I’m writing today from my house in Red Hook, New York, just a hundred miles or so north of New York City. We’ve had three nor’easters in the last week with another possible one next week. You might call this serious winter. We just call it March. And since it is mid-March, it’s time to put out the eMath March Newsletter. We’ve got plenty to report and add-ons to discuss, so let’s get to it. To rule out (2) as the correct choice, think about how much work must be done. They must calculate Q1 and Q3, 41 and 68, then the IQR (27), and then 1.5*IQR (40.5). Subtracted and added to Q1 and Q3 gives you a “non-outlier” range of 0.5 to 108.5. Notice how this makes the 120 clearly an outlier but the data point of 0 is barely an outlier. So, it’s pretty important to know this technical definition of an outlier (which is not universally accepted) in order to not choose (2). Given the rather subjective nature of the correct answer, i.e. 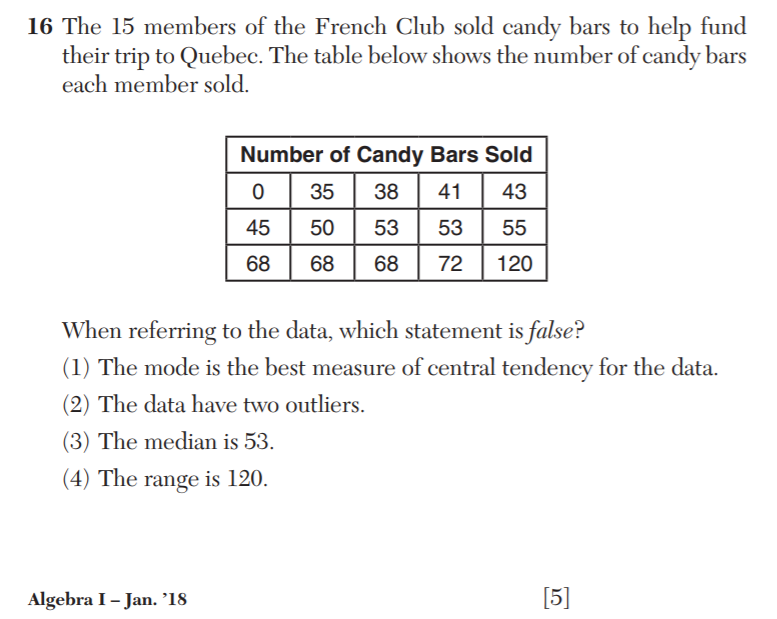 (1) that the mode is the “best” measure of central tendency, it is important to know why each of the other statements is true. Don’t get me wrong, I don’t think it is unreasonable for kids to know this, but I think that this is the type of curricular detail that needs to be explicitly spelled out as a piece of knowledge kids must learn. We created two new videos for Common Core Algebra I. One of them goes with our add-on lesson Unit 8.Lesson 7.5.Linear-Quadratic systems. We also did a short video on a graphical reason for why the method of completing the square works. Both of these videos will be posted soon with a QR code added to the lesson when finished (likely today or Monday). For Common Core Geometry, we have finally finished our Unit Reviews and Unit Assessments with Unit 10 – Measurement and Modeling. We have a fantastic Review with lots and lots of modeling problems, including additional density problems. These Reviews and Assessments finish Version 1 of our Common Core Geometry curriculum. We will begin releasing add-ons (additional lessons, activities, and assessments) beginning in August of 2018. I do think they are interesting patterns to study. I think the connections that can be made between these problems and the imaginary roots of quadratics are quite interesting. But, I see no utility in any type of realistic math problems where memorization of these patterns is helpful. I think it just takes up time and mental space that could be spent better elsewhere. What are your thoughts? 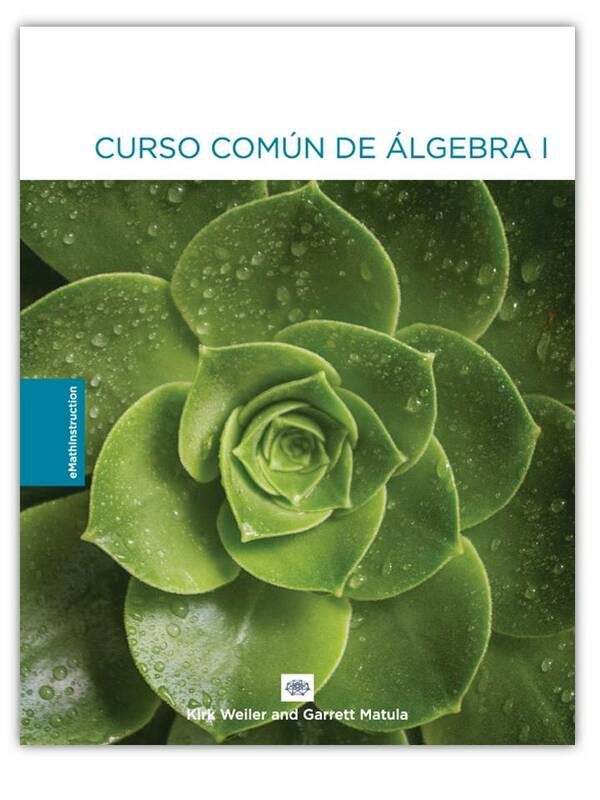 Finally, we have our Algebra 2 and Trigonometry add-on of the month. This month we’ve added an additional lesson in Unit 10 (Exponential and Logarithmic Functions). We’ve put in Lesson 4.5 on Additional Exponential Modeling. 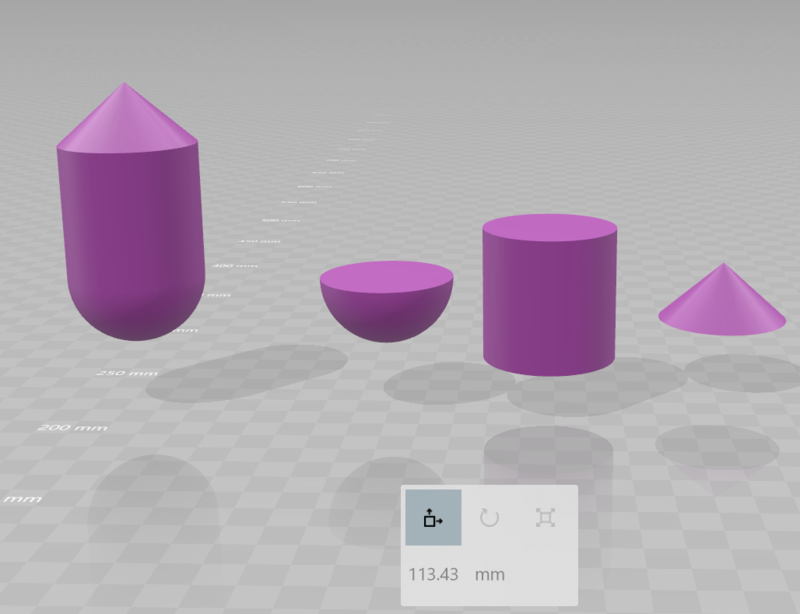 In this lesson we look at how to transition between different time units when modeling something using exponential growth and decay. This is a particularly nice lesson from an applied perspective. Will they have to recognize that certain cross-sections of cubes are hexagons? Inquiring minds want to know. 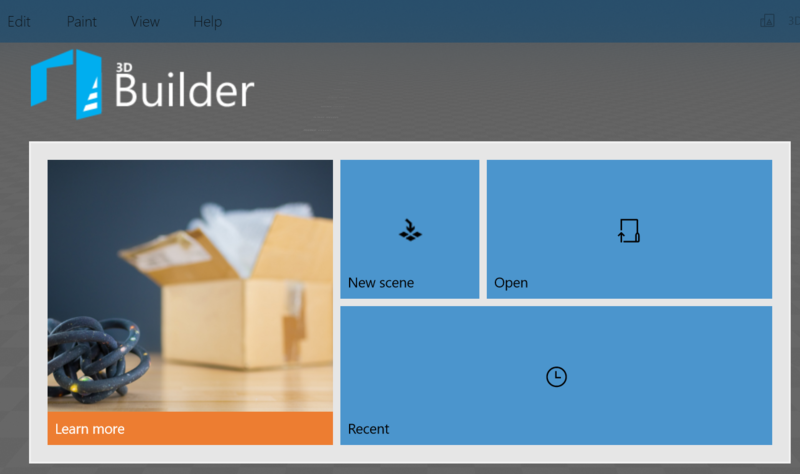 Well, I think that’s about it for 3D Builder. 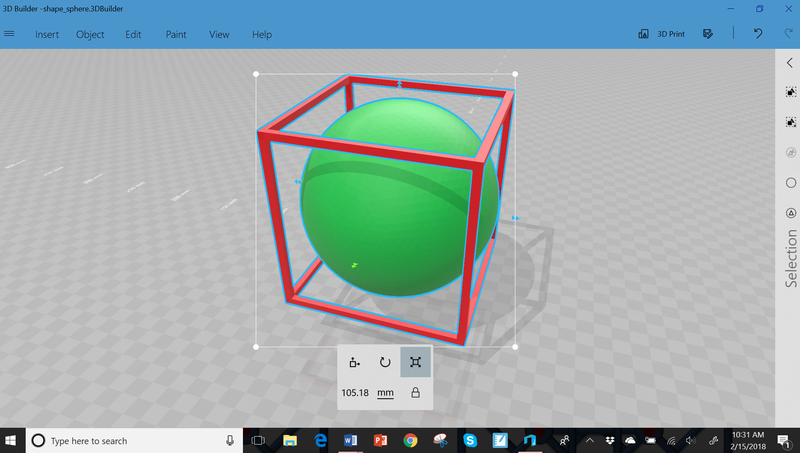 I’ll be discussing this program and Tinkercad, one of my favorite online 3D modeling programs in additional posts. 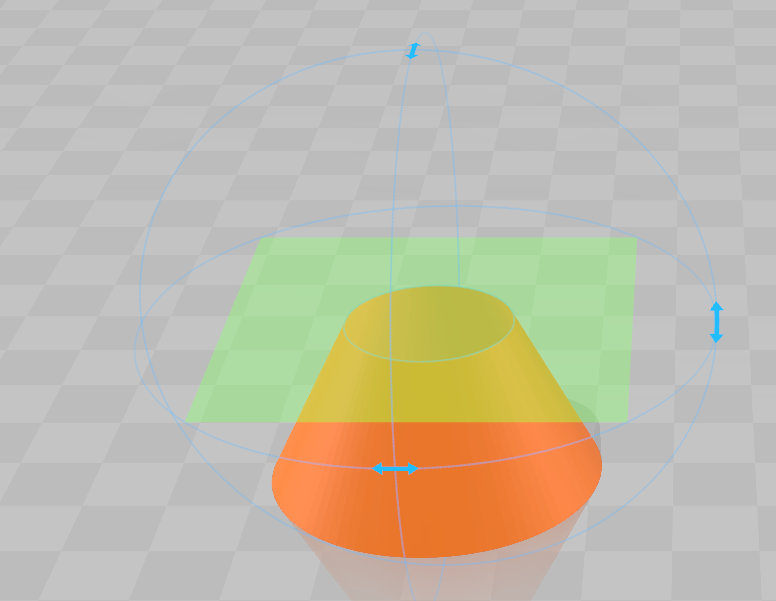 Only a few years ago, visualizing 3D geometric concepts would have been very difficult. Now, programs to do so are not just easy to find, but completely free. We have some exciting changes coming to the website in the coming months, including a new way of organizing the Add-Ons and the Assessment Items. But, more on that in the April newsletter. For now, happy Pi-Day, happy March, and enjoy your spring break if you still haven’t been on it yet. It’s mid-month, which means it’s time for our newsletter. Valentine’s Day is now passed but we still have plenty of treats for you this month. So, let’s get right into it. 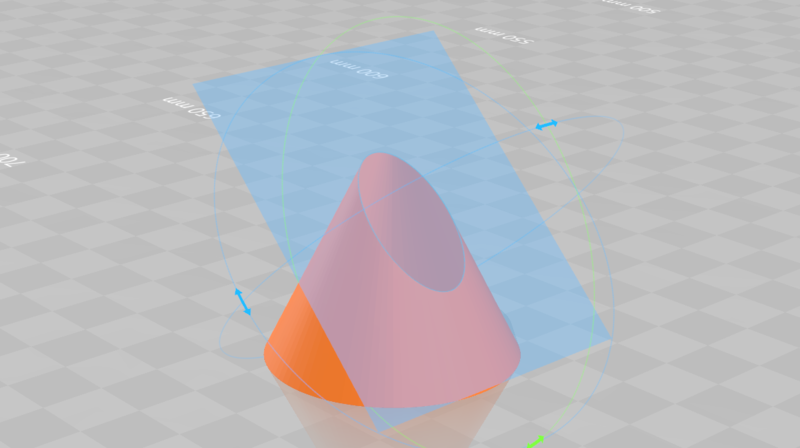 We’re going to start the discussion with Geometry, which is quickly starting to get filled out and ready for Version 2. We finished editing all of the videos and posting them to YouTube. That also means we were able to add the QR codes to the worksheets. In addition to finishing the videos and adding the QR codes we have also increased the graphics quality considerably on the diagrams in the book. 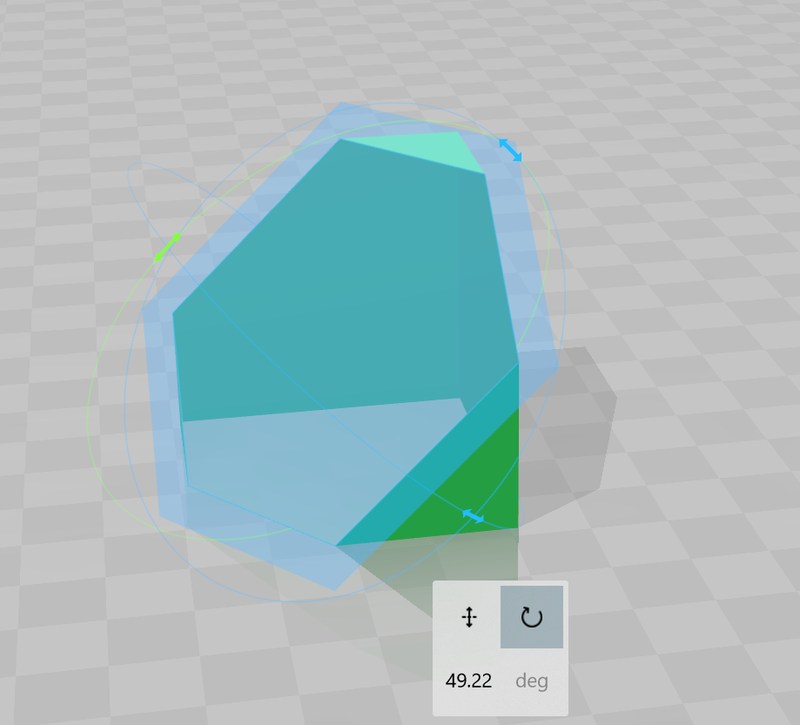 Every diagram that shows up in Geometry has been made by the FX MathPack, which was created by the Efofex software company, and which we sell in our Shop. The resulting PDF files are larger in size, but the sharpness of the images is now excellent. 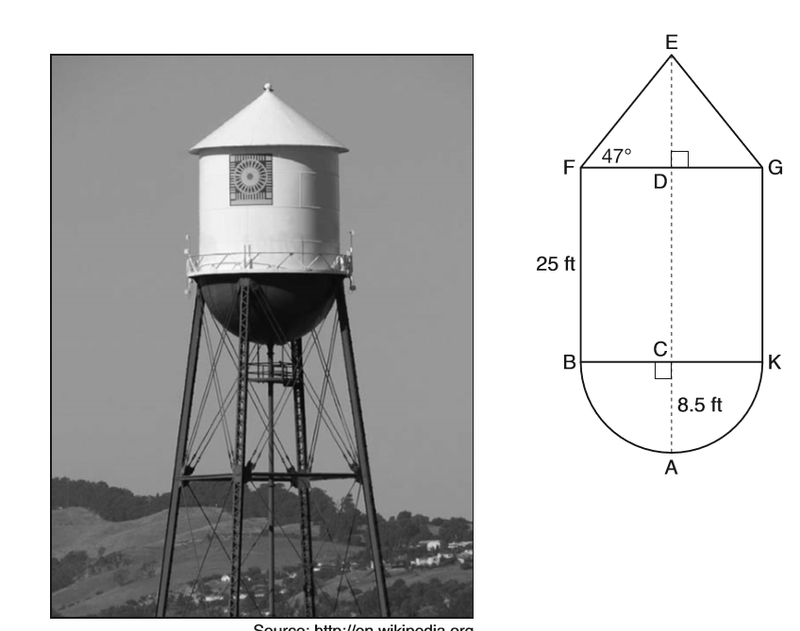 We have, of course, posted the latest Common Core Geometry Unit Review and Unit Assessment. For this month, we released the Unit #9 (Circle Geometry) Review and Assessment. This is a monster review packet of problems along with a great assessment. That means that next month we will be releasing the final Common Core Geometry Review and Assessment (Unit #10 on Measurement and Modeling). 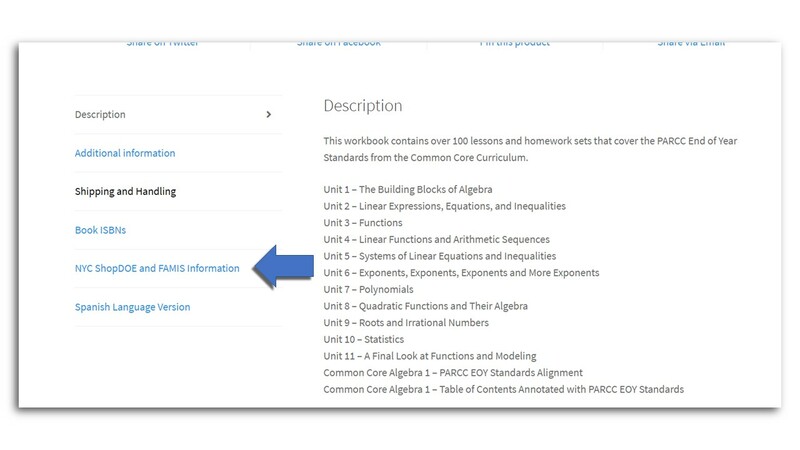 Next year, of course, we will begin to release add-ons for Common Core Geometry, likely including new lessons (Intro to Parallel Lines, the General Area Formula for a Triangle, …) and make up assessments. Alright, enough Geometry. Now for the Common Core Algebra I Add-Ons. 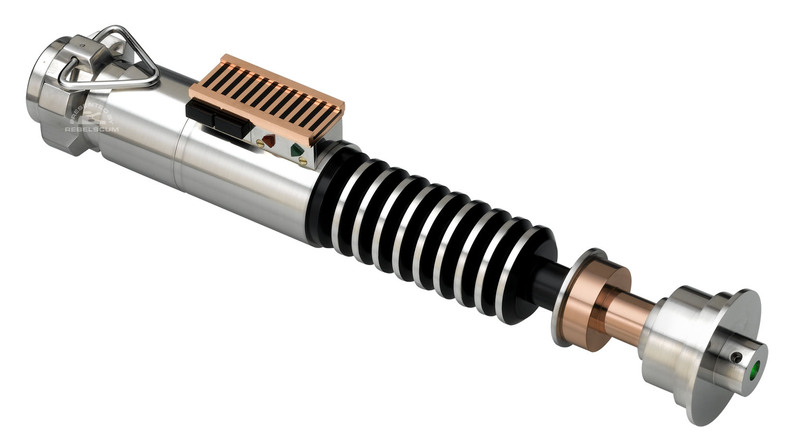 This month we bring you a mid-unit quiz and a new lesson. Both are designed for Unit #9 (Roots and Irrational Numbers). We have a Form A and Form B mid-unit quiz that covers all of the material through Lesson #4 (Solving Quadratics Using Inverse Operations). We also bring you a lesson that connects the process of Completing the Square with area models. We think this lesson could be taught in either Unit #8 (after completing the square) or in Lesson #9 right before (or I suppose after) Finding Zeroes by Completing the Square. In the lesson, we look at why the algorithm of dividing the linear coefficient by 2 and then squaring the result makes sense from an area perspective. It’s super cool! I hope to have a video version of it next month. 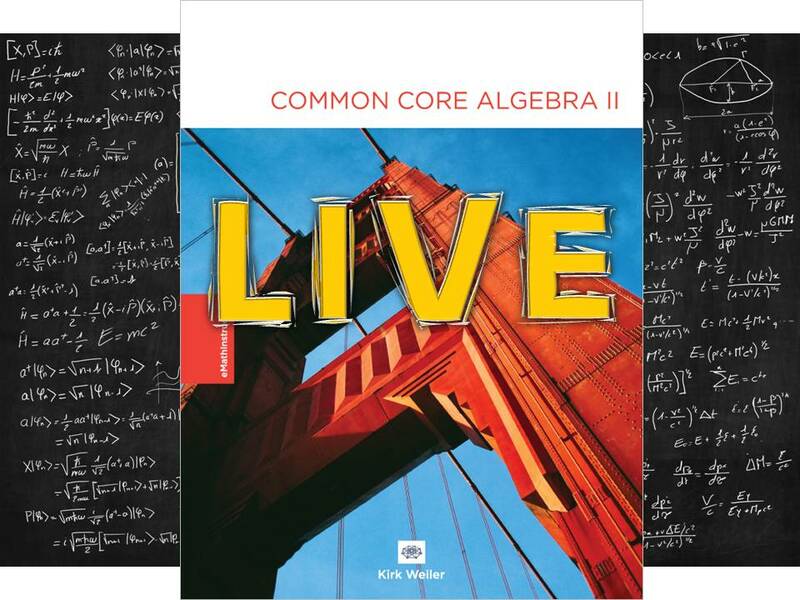 For Common Core Algebra II Add-Ons this month we have two new resources for Unit #10 on Polynomial and Rational functions. First, we added Lesson #1.5 on the End Behavior of Polynomials. We felt like our current lessons on Polynomial Graphs and their Equations just didn’t do this topic justice. So, we added one that looks more closely at how the end behavior (a.k.a. long-run behavior) of polynomials is dependent on its leading coefficient and degree. We also added an activity on Rational algebra (called Rational Puzzles Activity). This activity has students investigate interesting patterns that emerge when you manipulate an integer and then explain these patterns using rational algebra. We think this is a really great activity for kids once they have learned how to simplify rational expressions as well as add, subtract, multiply and divide them. Finally, for Algebra 2 and Trigonometry add-ons this month we have a huge new set of Trigonometry Application problems. Students can always use more practice with the Law of Sines and Law of Cosines and this problem set gives them plenty! Alright, well, only one month (more or less) until Pi Day. Hopefully the snows will soon melt and give way to spring. But, I’m not holding my breath. Hello all! We are just about at the mid-point of the academic year, which means it is very, very cold in upstate New York. We are working hard at eMath this January to bring you new materials and to continue to update older ones. Let’s get right into the add-ons for this month. For Common Core Algebra I Add-Ons this month we bring you a new lesson and an additional problem set, both from Unit #8 on Quadratic Functions and Their Algebra. First, we have added a lesson on solving Linear-Quadratic Systems Algebraically and Graphically. This is a topic that some already do in Algebra I and others will do once the New York State Next Generation Standards kick in a few years from now. We thought we’d get a jump on those and add this lesson now. We’ve also added a problem sheet with extra Quadratic Word problems (technically Lesson 9 in this unit). I think you can never go wrong with more quadratic word problems as kids need as much practice with these as possible. In Common Core Geometry, we continue with the Unit Reviews and Unit Assessments. This month it is Unit #8 on Right Triangle Trigonometry. We’ve put together a great packet of Review problems and a good assessment that should help you assess your students’ knowledge of this important subject. It looks like at this pace we will be publishing the last Unit Review and Assessment in March (Unit #10 on Measurement and Modeling). That will round out Common Core Geometry for this academic year. For Common Core Algebra II Add-Ons we have two new lessons in Unit #9 on Complex Numbers. We’ve always felt that this unit was a bit brief so we added lessons that we think would be great for enriching the unit. The first lesson (#2.5) is on the Division of Complex numbers. This is a challenging topic both conceptually and mechanically. The second lesson (#5) is on the Complex Plane. Graphing complex numbers and finding their modulus (absolute value) are emphasized in this lesson. Finally, for Algebra 2 with Trigonometry we bring you a nice add-on for Unit #8 (Trigonometric Algebra). 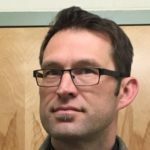 We created a nice review set of Trig Equations that emphasize all of the equation solving techniques in this unit, including basic equations, quadratic trig equations, equations involving trig identities, and equations that need to be solved graphically. This is a great problem set to use as additional review at the end of this unit. That’s it for now. Here at eMathInstruction we’d like to wish everyone a happy and thoughtful Dr. Martin Luther King Jr. Day. As we go through some rough times in our country and we question our basic identity on a daily basis, we hope that this day above all others makes us reflect on the commonalities that bring us together rather than the differences that seem to be tearing us apart.